Former President of the Maldives and leader of main-ruling Maldivian Democratic Party (MDP) Mohamed Nasheed has departed to United Kingdom on holiday after the successful conclusion of the parliamentary campaign and the parliamentary election. Nasheed's MDP secured 65 seats in the parliament in a landslide victory, with Nasheed himself elected as the MP for newly formed Macchangolhi Central constituency. 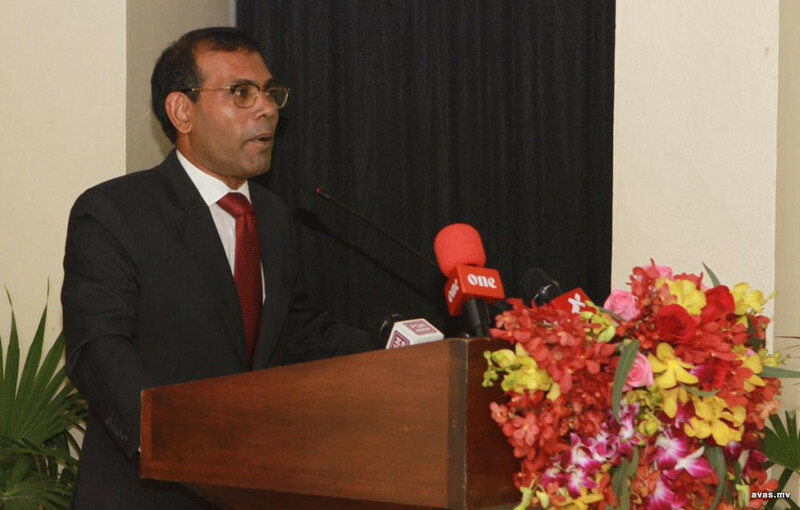 Nasheed's office on Monday revealed that he Nasheed will be going on holiday with his family to the United Kingdom, after having traveled all over Maldives on campaign trails ahead of the parliamentary election. After Nasheed's holiday in UK, he will be traveling to the United States to take part in an event organized by Clooney Foundation For Justice which is run by famous actor George Clooney and his wife, renowned lawyer Amal Clooney. Attorneys and human rights advocates will be participating in the event, informed Nasheed's office. The Clooney Foundation for Justice was established in late 2016 to advance justice in courtrooms, classrooms and communities around the world. Co-founder of the foundation, Amal Clooney represented Naheed as his lawyer when he was jailed by former president Yameen Abdul Gayyoom.